Commercial architecture is always evolving, with innovative ideas and advanced materials shaping the way stores, office buildings, and industrial facilities look and feel. Changes in employee expectations and the way we work also influence how designers conceive of commercial buildings and create modern workplaces that can maximize productivity and satisfaction. While some trends come and go, others will likely have a profound impact on the buildings of tomorrow. 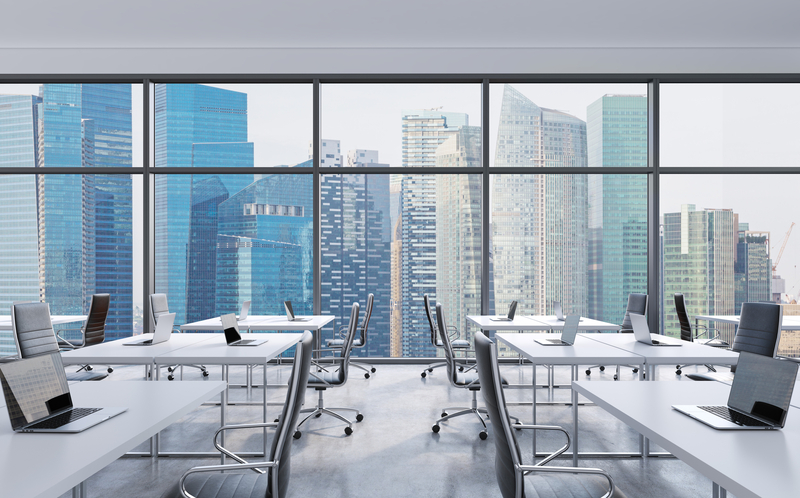 Over the past few years, many companies have embraced open floor plan offices in the hopes of fostering creativity and more face-to-face interaction between employees. However, research now shows that these designs actually reduce productivity and compel workers to seek other ways to create a sense of privacy. New, cutting-edge office designs blend the two approaches, with communal working spaces for team projects and small offices for individuals to work in solitude. Businesses of every type are incorporating spaces to make working environments feel a little more like home. For instance, an office building might have restaurants, cafes, and even dry cleaners on the ground floor, with workspaces above. To create this synergistic combination of businesses, your designer may recommend incorporating more retail space. Taking an abandoned industrial building and bringing it in the 21st century can give your space a unique character new construction usually can’t match. Adaptive reuse allows creative architects to breathe new life into old factories, retail spaces, and office buildings, rather than tear them down. For nearly 20 years, Pardi Partnership Architects PC has provided clients throughout the Monroe County, NY, area with beautiful, cutting-edge commercial designs and a seamless design-build approach. They offer a talented team of designers, architects, and engineers working together on every project to achieve award-winning results. Visit their website or Facebook page for a look at some of their previous projects, or call (585) 454­-4670 to discuss your design.